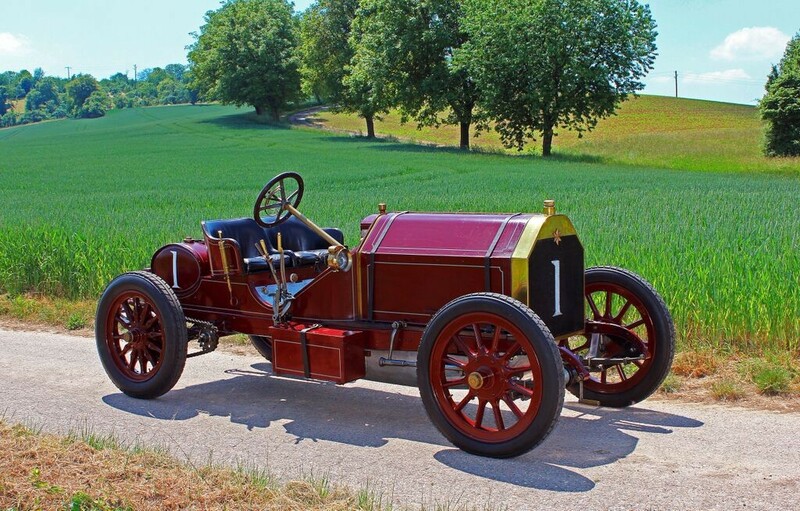 Built at the turn of the 20th Century by Star Company of Wolverhampton, this racing car was designed to compete in the British 1905 Gordon Bennett race elimination trials, held on the Isle of Man. Two cars were built by Star for this race, with a total grid of 10 cars – and the Stars were awarded race numbers 1 and 2. The particular car headed to Concours of Elegance at the Palace of Holyroodhouse this year was Star number 1 and was driven by Harry Goodwin to a fourth place finish. The Star is powered by a 9.3-litre inline four-cylinder engine, which produces about 70hp. At the time Star billed it as the fastest car in England, but it was to be sold to India around 1907 to the Maharao of Kotah. The Star was eventually discovered in 1971 as part of a collection of 30 vintage cars and brought back to England for a full restoration.